For a marriage to last it takes tireless dedication, an unwavering passion for one another and a knack at overcoming unforeseen obstacles along the way. Some last, some don't. After 35 years of marriage, the Southern Illinois Mustang Association and Roberts Motors in Alton, Ill. are still on their honeymoon. On June 12, 1977 the Southern Illinois Mustang Association was founded when they conducted their first meeting. 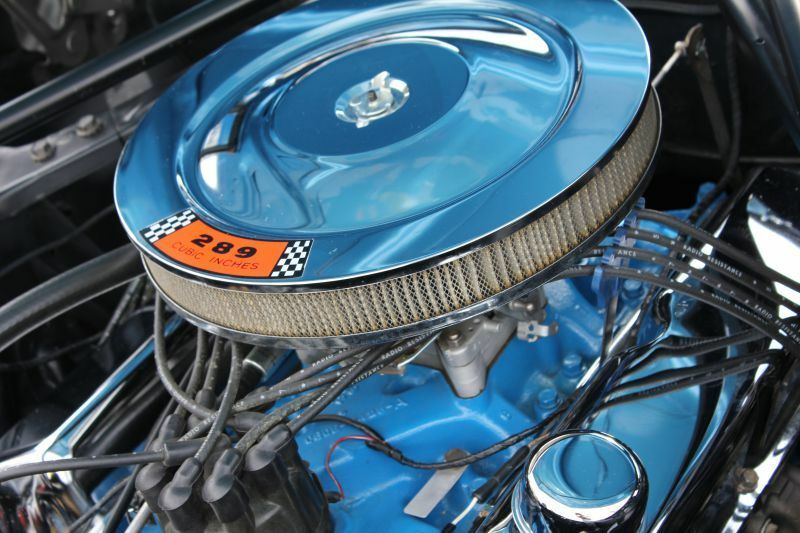 That same year SIMA began its courtship with Roberts Motors, the local Ford dealership which has now served Alton for over 60 years, and put on its first car show. Two years later, on Jan. 4, 1979, SIMA was issued Regional Group Charter No. 18 by the Mustang Club of America and on July 21 of this year SIMA hosted its 35th car show at Roberts. "How many marriages last for 35 years?" said Bill Meyers, a member of SIMA since 1978 who acted as the master of ceremonies at this year's show. "Not many." 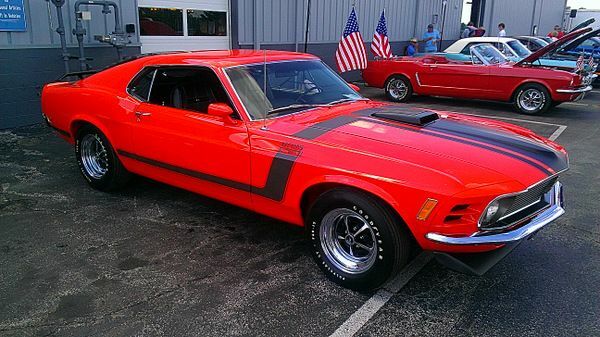 It all started with a group of Mustang enthusiasts that numbered less than 10 in 1977 who had a dedication to share their passion with the world. Today only two charter members remain, Gail Allen and Jerry Varble. The two real masterminds behind the development of SIMA, Terry Yates and Bill Lauck, have since passed away. Allen reminisced about how it all began for SIMA. It started with an ad in the Alton Telegraph and then the initial meeting and then Roberts involvement." First Terry Yates put an ad in the paper," said Allen. "Anybody interested in joining the Mustang club, or helping get one started met down at IHOP in Wood River (Ill.) and there were about six or seven of us there. Then we asked Hutton Ford and they refused to entertain a car show or display so we went to Roberts. We got with Bill Roberts and Byron (Roberts) and also Sam (Roberts) and we said, 'We'd like to have a car show here.' They said, 'That would be fine.' They made a place for us just outside the body shop area and we had about 15 cars. It was an open invitation and all we gave out were a key chain and we had some membership applications." Sam Roberts, who remains the president of Roberts Motors today, said it's been a fruitful relationship with SIMA because of the good people that comprise the organization and because what the show offers the Alton community. This year's show had a whopping 120 cars on display, despite temperatures hovering around triple digits during the event. "There's no place like the Mustang club where you see cars that people have taken from nothing on a lot of them and made parlor pieces out of them," Roberts said. "It's just great to see people take care of automobiles like that and we just fell in love with it and we're just happy that they keep coming back every year." "(The day of the show) we don't do that much sales because nobody knows who to talk to, you can't get in and out, but it's just about being nice to the people and letting them enjoy it. We're all more interested in looking at cars anyway. There are some of these people that have driven in from out of town and they're going to stay someplace here, they're going to eat here. They come in to visit the area and they're going to spend some money here, so it's good for the community." There's a mystique about the Mustang that makes it the essence of the Ford Motor Company, the face of the company. It's that magic that draws people to the Mustang by the droves and has driven SIMA and Roberts to continue their relationship. "It's not only the flagship of the Ford Motor Company, it's the flagship of the people that are driving them," said Roberts. "The Mustang Club of America has a hell of a strong body. A while back they were going to change the Mustang and Mustang owners went ballistic and it never happened. People just keep buying. People that are driving brand X, Y and Z are moving up and buying Mustangs. It's a cult. It's almost like a religion, they've got to have a Mustang and it's really good to see people like that." Meyers added, "It is a cult and if you didn't think so, go to the '74 time frame when they were going to call the Pinto (Mustang II) a Mustang. Ford loyalty would have gone to hell real quick. They soon learned and I give Ford kudos for that. They're marketing people learned real quick, 'These people are serious about these cars.' As far as Mustang people are concerned it's the Corvette of Ford. The Mustang appeals to everybody. It appeals to the young, it appeals to the old. You didn't have to be rich to own one. It's just a design that people fell in love with. It was the right car, at the right place, at the right time." The show almost folded as quick as it began though. In 1978, only the second year for the show, SIMA found itself depleted of funds with the time to organize the show swiftly approaching. "We were sitting at a guy's house and we didn't have any money to fund the show, so there were five or six of us sitting around and we each reached in our pockets and pulled out a $100 and laid it on the table," said Meyers. "We said, 'If there's enough to pay us back after the show we'll take it.' We had the show that year and there was more than enough to pay us back and we've always been funded since then." Allen said it was a major miscalculation by the club that left the show in limbo, but what it proved was both SIMA's and Roberts' dedication to the cause. "There was a gentleman who had contacted the Mustang Club of America and they sent a bunch of T-shirts and a bunch of awards up here and we didn't understand that we were to pay for them," said Allen about the inaugural show. "We thought they would send them just to get the charter going and that wasn't the fact. Several T-shirts and several awards later and we ended up without a lot of money in our account. We chipped in money and at that time we started asking Roberts, 'Who can we get with at Ford Motor Company?' They directed us over to Jack Anderson (St. Louis) and as Ford started giving us money that helped and that kept the ball rolling at the very beginning because you can't run out and buy $1,000 worth of trophies if you don't have any money." Since then it hasn't been out of the ordinary for Roberts or Ford Motor Company to slip some money SIMA's way to assist in the show. "There were times that we needed money with the economy down and Roberts would go to Ford and next thing you know we'd be getting a check from Ford," Meyers said. "Roberts would help us with cash to keep the show funded and keep it going. A sponsorship like that, there's just no way you can give it up. There's gratitude from the club toward Roberts and Roberts has been great to us, backing us on everything we wanted to do. There have been some down years here lately in the economy where they haven't been able to do much for us, but we've managed to survive." But to create a good show takes preparation and SIMA makes sure it reserves plenty of time to get ready. "We start planning for it in December every year," said Jack Kell, a member of SIMA since 1978. "We get the flyers produced, figure out how many classes we're going to have, what to charge for registration. There are 30 classes." "A while back we expanded from 26 classes to 30 because of the Cobras and the Roushes and some of the other models of Mustangs, the Saleen." Meyers explained there's a plethora of other unique components to SIMA's show that make it an institution in southern Illinois and the St. Louis metropolitan area, too. "Every year we give out a goodie bag," said Meyers. "We start asking all of our sponsors to give magazines and other stuff and then the night before we have our ice cream social. The Friday night ice cream social, we start setting up our tables and getting all the stuff together we're going to put in our goodie bag. We lay it all out on the table and everybody gets in line and you're putting in books, you're putting in decals and this and that. It used to be the tradition at every car show you got a goodie bag, a lot of them have gotten away from that, but not our show, we still have that goodie bag and when they come in it is chalked full of stuff." "I've also heard a lot of people say we give out unique trophies. I'm looking at the trophies we've got this year and they're unique, I'm not crazy about them, but they're unique. In the past we've given out gas pumps, we've given out clocks, we've given out all kinds of stuff that's different. We try and keep it different and I think a lot of people like that." There have been portions of the show that have evolved over the years. In the beginning only Mustangs were allowed to enter, but now it's been expanded to include all Fords. This year's show included Fairlanes, Thunderbirds, Falcons, Galaxies a Lincoln Mark VIII, a slew of trucks, even a pristine 1982 Econoline Van was on display. More than anything though there were Mustangs. From early models all the way through 2011s, from Mach Is to Shelbys to Cobras to Roushes, SIMA had them all there for the world to see. And while the SIMA members who were there in the beginning start to get older and the economy remains in the dumps, it get harder and harder to keep the show going, but that doesn't mean anyone should worry about it disappearing. Roberts, who has seen his son John become general manager and carry out the day-to-day business dealings of the dealership, isn't anywhere near ready for a divorce. John has stayed just has passionate about the show as his father. He received an appreciation award from SIMA at this year's show for Roberts' 35 years of commitment to the club. "As far as I'm concerned it is," Roberts said of a marriage for infinity and beyond. "They're great people to work with and we enjoy seeing the people, we meet a lot of people, talk to a lot of people and there's really nothing that can cause this kind of excitement on a dealership lot." Patty Mitchell entered her 2008 red Mustang GT convertible all the way from Absarokee, Mon., so there's definite interest in the show. Mitchell and her husband had their yacht docked in the Alton Marina on the Mississippi River and she brought her car just to cruise around town.When she visited Roberts to have her tires rotated she was told about the show and decided to register. 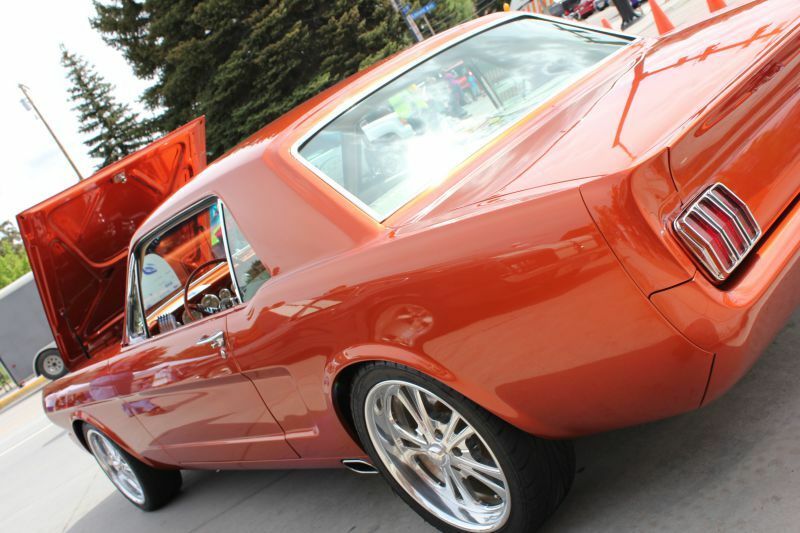 It was her first car show, 1,746 miles from her home and an experience she'll never forget. That's just one reason on a laundry list of reasons SIMA wants to keep the show going forever. "This keeps all the members together and going," said Kell. "It's our big activity for the year other than doing a few car cruises. The show is the main thing and we've been associated with Roberts all these years. They look forward for us to come out and put on the show and have always been real helpful." "It's the main event," Allen said. "We go on cruises or drives or get together and go here or there, but this is the main event. We do go to other shows and participate hoping to get the club award, by having the most members there and the most cars entered. But this is our main event. Thirty five years is a pretty good milestone and weathering it out at the one location for 35 years is the main thing." Meyers said that being in the club is like being in a fraternity, a brotherhood, and that bond can't and won't easily by broken. "We're getting older now as a group," Meyers said. "I was in my 20s when we started and all the guys I know around here when we started were all young guys and dark headed. We've grown up, fat, old, gray and been through all this, all the Mustangs, and been through all the good times and the bad. We've been there for each other. "Car people and bikers, they cling to each other, they help each other, they're there for each other. It's a fraternity and they take care of their brothers. It's just a piece of sheet metal, but through that sheet metal you meet people that have a common interest and you get to know them. We've been lucky with our club. There's been times where we've had a few bad actors in here that caused some dissension, but they didn't last long." Luckily for SIMA and Roberts, their relationship has lasted long and looks to last a lot longer.